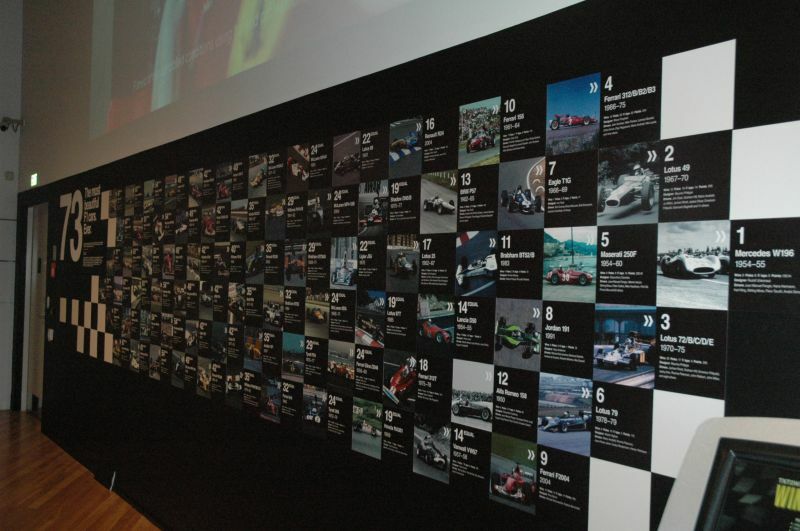 On the far wall near the Ferrari there is a visual checkered feast of images of what a group of 17 experts (mostly photographers) consider to be the 73 most beautiful – in terms of looks – F1 cars of all time up to & including the 2004 season. Each was allowed to choose their top 10 in order of beauty from 1 to 10, and after the scores were number crunched and organised – these 73 cars were the result. But I don’t agree with a lot of them – including their number one, its the Mercedes W196 (1954-55). I truly don’t understand what is beautiful about it, well – to be number one anyway. I think it looks like a manta ray, flat and wide with a huge wide mouth that feeds on the seafloor – and I don’t mean it to be a compliment. It got me to thinking – was it just me? Is it because I’m just a girl and ‘don’t get it’? I don’t jolly think so. So I started asking some Kiwi experts what they consider to be their hottest (in terms of beautiful) F1 car. Because I don’t do maths or number crunching, they didn’t have to give me their top 10. Sam Robinson has just got his Suzuki Swift and will be racing in the 2009-10 Suzuki Swift Sport Cup. Sam’s choice was the 91 Jordan – not crowded or fussy. Jono Lester drives a Porsche GT3 and won the Hamilton 400 Trophy at the Hamilton 400 V8 Supercar event. Jono’s favourites are the 1984 JPS Lotus and he liked the simplicity of the 91 Williams. 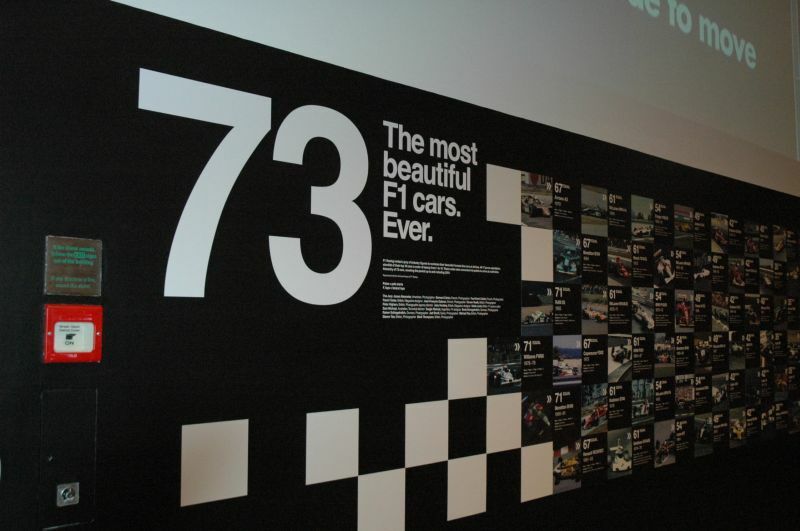 John Fowke from the Toyota Racing Series group liked the 72 Lotus and the McLaren MP4-4. Jan McLaren the younger sister of Bruce McLaren, loves the front engined Maserati 250F driven by Fangio – and I’ve got to agree with her. 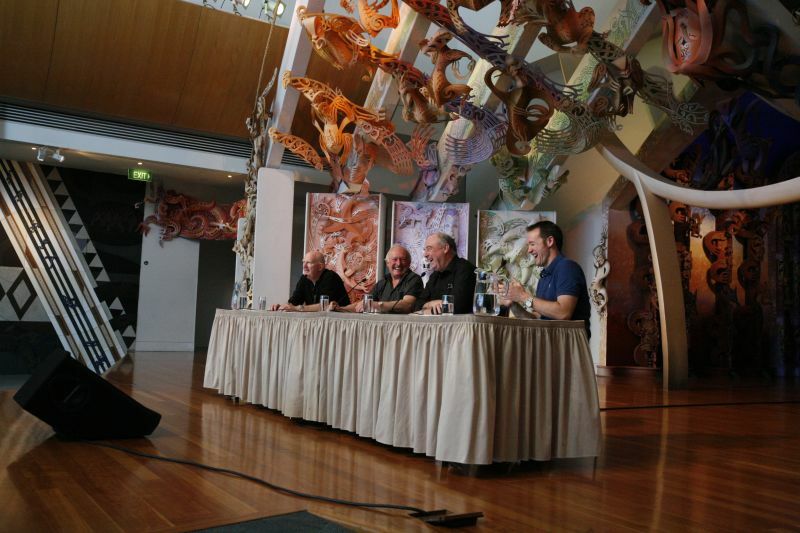 Michael, Chris, Bob, and Greg at the ‘Ask the Boys’ event on Te Marae. © Te Papa, 2009. Michael Clark is a motorsport historian and his columns can be found in New Zealand Classic Car. His most beautiful is the navy blue 1967 AAR Eagle driven by Dan Gurney. I’ve just googled it and have to agree, its a fine car. Chris Amon – after much egging on by the others to ask him, it turns out , does NOT like the March 701. He thought the 1968 Ferrari 312/68 and the Maserati 250F were the most beautiful. Bob McMurray (who may have been the one who got me to ask Chris if the March was his favourite, cheers Bob) can’t get past the McLaren MP4-4. He didn’t even have to think about it – he said it’s bulky but beautiful. He’s jolly lucky I didn’t write that he thought the 1971 BRM P160 was the most beautiful. Greg Murphy also thought that the Mp4-4 was the best – it looks fast even when its standing still. For him its the epitome of an open race car. And just because I aint biased I’ve included my twin bro’s opinion too – Patrick’s most favourite (no surprises as he’s a Ferrari man through and through) is the F2004. Whats mine? You know – I still don’t know. I love the old F1 cars – especially the ones with the spoked wheels. I like the shark nose of the Ferrari 156, and I’ll always love the Wiiliams FW14B. I do know I’ve really enjoyed having these amazing cars here at Te Papa.